Abu Dhabi’s Aldar Properties will introduce a new formula to calculate its dividends from 2016 onwards which could lead to higher payouts for shareholders, its chairman said on Wednesday. The new policy is based on the underlying cashflow of Aldar’s business, the company said in its annual report published on Wednesday. Dividends will be made up of two parts. The first will be a payout of 65-80 percent of distributable free cashflow derived from Aldar’s wholly owned investment properties, plus a discretionary second part based on cash profits from the completion of newly built developments. “There is a formula for dividend payouts from now on and dividends will grow as the company grows,” Aldar’s chairman Abubaker al-Khoori told Reuters on the sidelines of the firm’s annual shareholder meeting. The company has not disclosed how it had calculated its dividends previously. 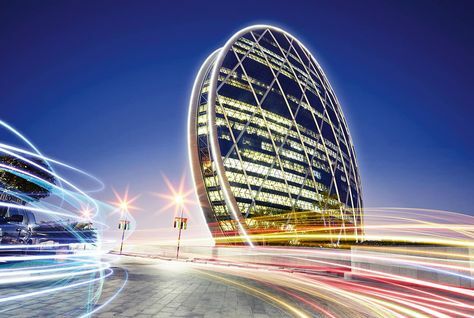 Aldar has increasingly focused on its leasing business in recent years, retaining ownership of some its developments to rent out residential, commercial and retail units. These provide recurring revenues, which are considered more stable than those derived from build-and-sell property development. Aldar’s annual net profit for 2015 was 2.56 billion dirhams ($697 million) in 2015, up 13 percent year-on-year, while its 2015 gross profit from recurring revenue was 1.51 billion dirhams, 49 percent higher than 2014. The company will pay a cash dividend of 0.1 dirhams per share for 2015, up from 0.09 dirhams per share for the prior year.